You’ve read Eric Ries’ The Lean Startup and have become a true believer, i.e. the path to transforming your company and developing an effective culture of innovation involves empowering small teams to create new products and services using the Lean Startup Methodology. The pushback you’re getting is only natural. 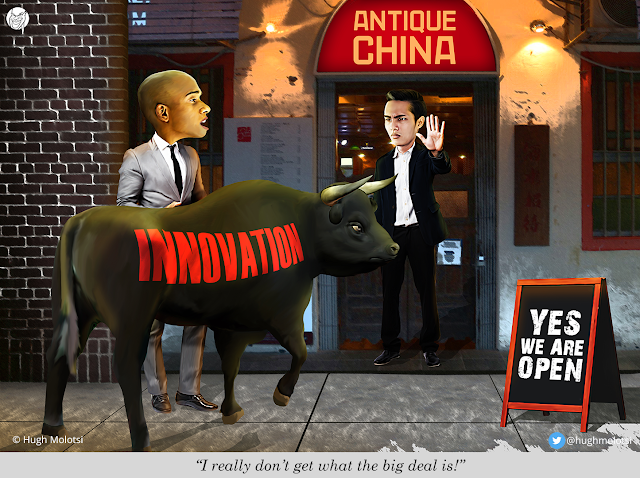 For many of your colleagues, your proposals to be more innovative will sound much like letting a bull loose in a china shop. To suggest replacing tried-and-true processes with what seem like anarchistic methodologies will, understandably, cause alarm. Succeeding in your organizational transformation initiative will require you to be prepared for pushback and deal with it effectively. Don’t expect all your colleagues to be as enthusiastic about this change as you are and certainly don’t disparage anyone who has strong-seated concerns. To overcome these concerns, you must first collect proof points that your proposed changes will work at your company. Don’t try to implement company-wide changes all at once. Instead, start with a small handful of willing teams to work in this new way. Describing your initiative as an experiment will make it an easier sell to your most skeptical colleagues especially if you promise not to expand your initiative before you have data to validate it is working. In the Lean Startup methodology, a startup is defined as a human institution designed to create a new product or service under conditions of extreme uncertainty. Your organization transformation initiative will definitely be seen by many of your colleagues as a new way of doing this that feels very uncertain. The Lean Startup is a methodology to systematically address uncertainty through rapid iteration and market learning. By starting with a handful of small teams, you are being “lean” and minimizing your company’s risk. Through the small teams, you will validate the new way of working while learning how to make adjustments to account for your company’s culture and context. With proof points in hand, you have reduced uncertainty. Your successful teams will be your most effective evangelists when you’re ready to scale the program to the rest of the company. Using the Lean Startup methodology in your efforts to develop a culture of innovation is a best practice. That’s how Intuit first rolled out their Unstructured Time program (which gives employees the freedom to work on their own ideas) by starting with a few teams and using their successes to sell the rest of the company. That’s also how General Electric rolled out their FastWorks program. Not to mention, using the Lean Startup methodology in your organizational transformation initiative is a great way to practice what you preach!